While visiting a local bank asking for the availability of my Cash Card, an Old lady asked me how to care for the succulent I was holding from a wedding of a friend. I politely tell her that I really don't know as I only got the plant from a wedding and she told me her plants died sooner telling me that it was really hard to care for one. I told her maybe I will search on youtube on how to care for succulents. After watching, I got challenged. They always say that caring for plants is not everyone's forte. 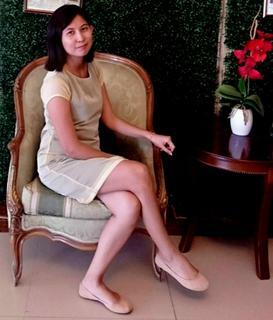 Have you heard the "green thumb" rule wherein a person can raise plants in just easy peasy steps and some people, an opposite cannot even tend a soil. So I was raising the succulent and little by little, day by day, each leaf is turning to yellowish. I did cut some as I wanted to grow and harvest little succulents some day but I never ever had one. They just die. 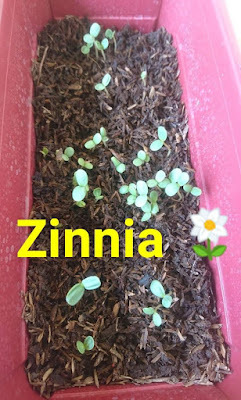 Then I have these 3 amazing friends on facebook who has been gardening for awhile and it hits me. I wanted that hobby too. Yes, the "inggit" factor struck me, "inggit" in a way that I admire them and I wanted to be like them. Gardening as a hobby might distress me too. I was merely asking them for advice. One friend is planting root crops, the other plants, and the latter is into flower pots. The first problem was I do not any soil. In our apartment, the lot area is cemented. That was my excuse before, how would I ever plant a seed if there is no soil? So I asked my SIL to buy me a sack of soil. It's much cheaper compare to those in the mall or even buy online. 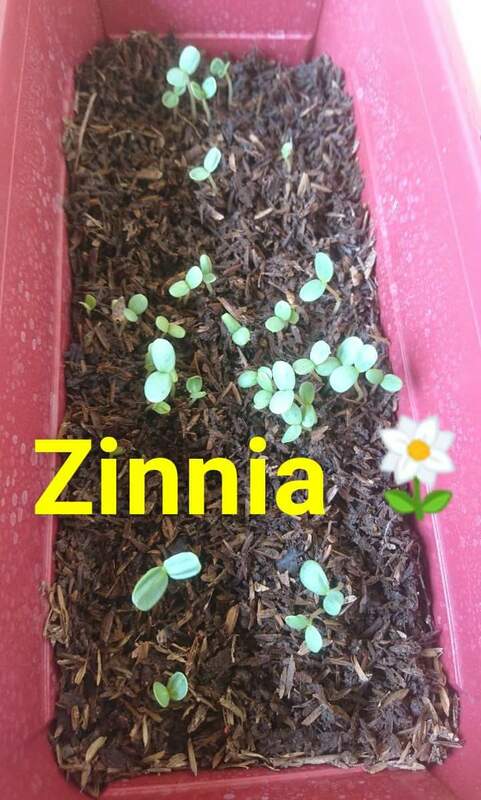 I also bought a rectangular pot and 2 pack of zinnia seed, white and sunshine mix. 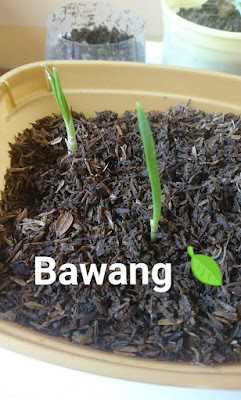 I was cooking sinigang one day and I decided to plant those seeds instead of just throwing it. It's worth a try. 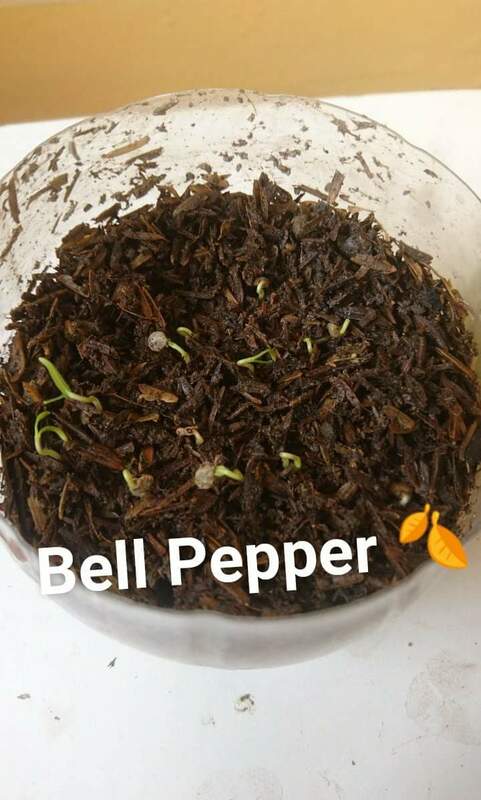 Even the bell pepper seeds, I planted them. The first one I tried was the garlic sprout. They say that planting sprouts is easy. I just don't know if it will be useful to my kitchen but I planted it by the way. It started to have roots after a few days! Not bad at all huh. But my succulent is nearly dying, no enough sunshine at the back of our house. I placed them all at our terrace since sunshine is always present there in the morning until 9am I guess (I really don't know because I am a late riser). 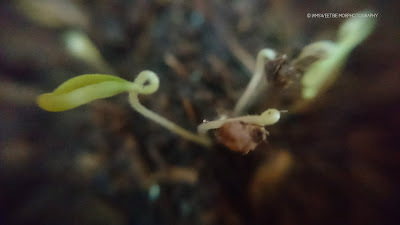 My tomato seeds are starting to have roots too, I thought but I was wrong. It was a grass! Jusmio! I even scolded a one year old for ransacking my planted tomato seeds because I though she ransacks the two growing grass. But honestly, it was a blessing in disguise because I found the real tomato seeds that started to grow, way deeper than I imagine. So I tend the soil and now there are really towering! That fast? Do I have a green thumb then? 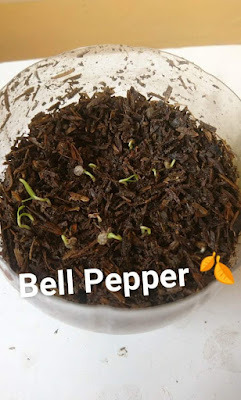 My garlic and bell pepper which I thought would never grow because it was way too dry when I planted it, are also starting to grow. Even the garlic I thought was dying was beginning to rise up again. My first flowers are slowly growing. I love how the green leaves are starting to appear and now I am excited to transplant it soon! I can't imagine my joy seeing my baby plants growing every waking day. I have a routine now. 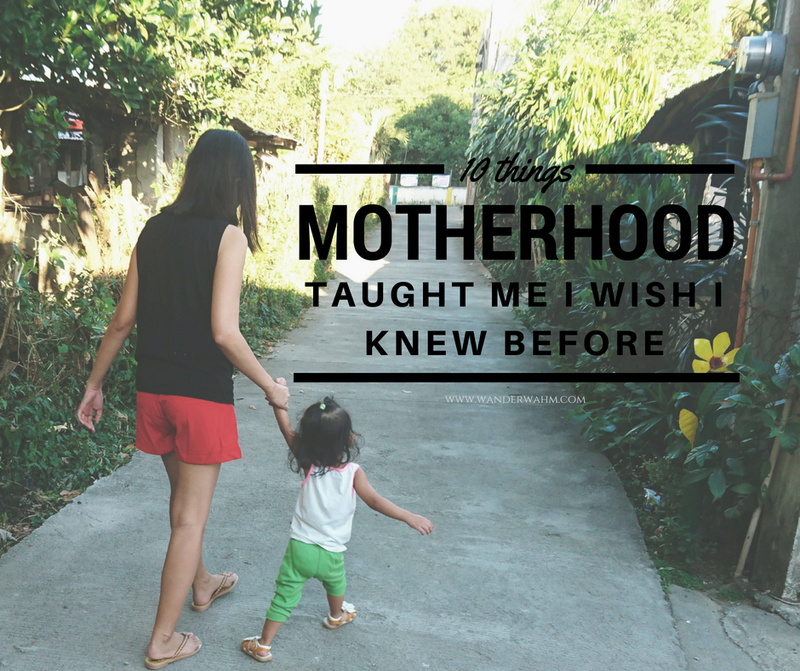 It also helps me when I am stressed from a day's work and caring for Isobelle. 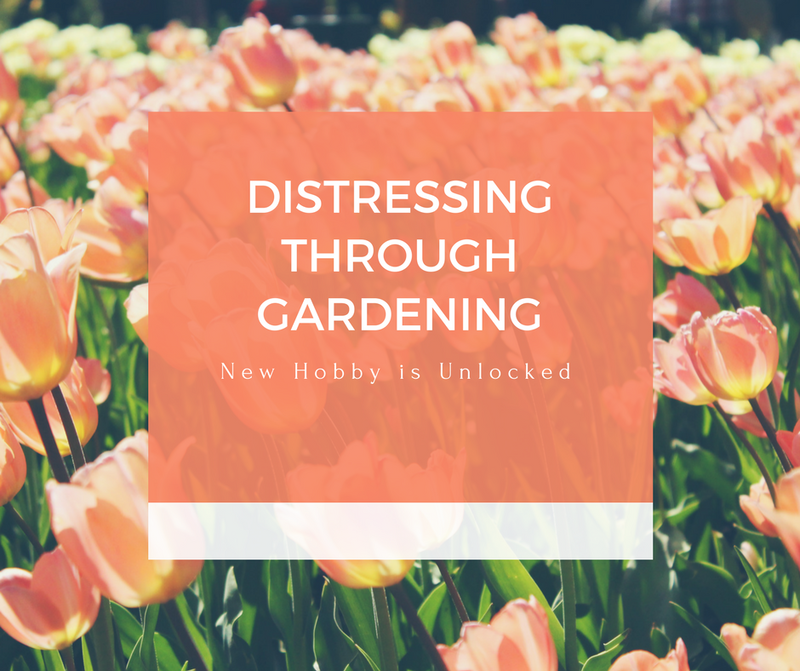 I can't believe that I even have time to have this hobby. Thanks to my friends for unlocking it. I will update soon once they started to bloom.